While this option is slightly more expensive than some other scanners, it's also much less expensive than professional-level models. The user-friendly interface allows people to troubleshoot problems with their vehicles in a matter of minutes. It's also made to work on a wide variety of different vehicles. This is a handheld device; you can easily hold the scanner in one hand and manipulate it with the other. The screen is big enough for you to read any problems with your engine, and the controls are intuitive and easy to use. ​This device connects to your vehicle with a data link connector. The connection for the scanner comes with screws which will hold the cable in place. If the cable is removed, you will lose your connection and data gathered so far. The connection will also provide the power to your device. ​This device uses both audio and visuals to alert you to any problems with your system. When you start using the device, you will find that you get the relevant information in a variety of ways. You also have the bonus that the device will work across a wide range of vehicle brands and types. The device is compatible with OBD1, OBD2, and CAN codes. It will also work with newer and older vehicles, whether they are new or used. This scanner will give you live data feeds which makes diagnosing problems quicker and easier. At the click of a button, you can easily gain access to the live feed. You can also check the emission levels as you check the live data feed. The unit is small and light. It is only about 10-inches long and 7-inches wide. The device also weighs less than 2 pounds; you can easily hold the device for long periods of time, and when it comes to storing it away, you can do so easily. ​This scanner also allows you to diagnose and erase faults associated with the anti-lock braking system and the safety restraint system. Many other scanners on the market cannot do this, so the added functionality is welcomed. More functionality also means more money saved. The more your device can do, the less you have to pay a professional to do. This is a great tool for beginners. You will not get the complete diagnostics which you would get with a more expensive tool or from a professional mechanic, but it will help you to diagnose many common problems and save you some money. Diagnosing problems with your vehicle can take time (and often money). The device can be used in a multitude of languages. The main world languages are supported with more being released in regular software updates. 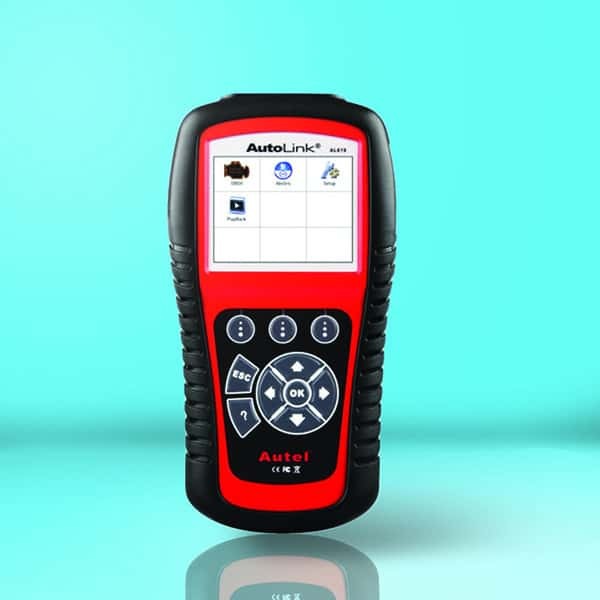 ​With so many compatible vehicles, this is a great diagnostic tool for professionals. Not only will your car be compatible (most likely), you will also be able to diagnose many other cars too. This is another feature which will save you money. 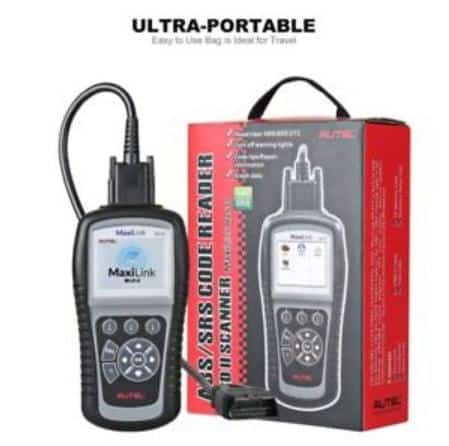 If you are a mechanic and need to run diagnostics, this device will save you from buying other scanners or wasting your time trying to scan a vehicle which is not compatible. 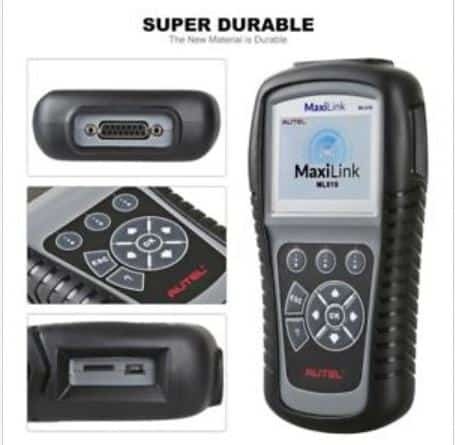 As with most scanners on the market, you need to update this one as soon as you get it to get the software which is compatible with the newer models of car. This is an online process which also needs you to register with Autel before downloading the updates. The entire process will take you around 60 minutes (15 minutes to register and 30-45 minutes to update). You cannot print hard copies of the diagnostic reports with this device. Even when you connect this scanner to your PC, you will have no option to print what is on the screen. Not many people need to print out hard copies of the reports, but there are times when it can be a welcome function. This device is affordable and gets the job done. While it may not work perfectly for every car, or give you the complete functionality that you desire, it is compatible with enough cars and will diagnose most problems to make it worth the cost. You will need to wait a while before you use this device, due to the long update, and you may need to run these updates regularly, so be prepared for that, but the updates will give you access to more compatibility, and so far, the updates are regular and effective.